DITA explores the concept of “warm minimalism” with their new Aoyama Flagship store experience. 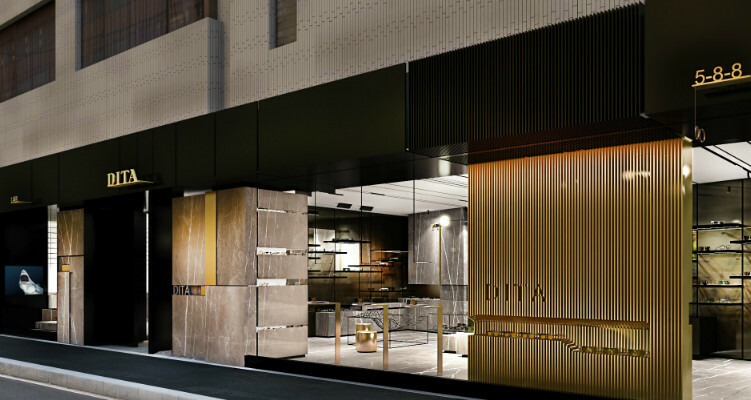 Dita is pleased to announce the opening of its Japanese flagship store, located on Kotto-dori in the heart of Tokyo’s renowned Aoyama district. The eclectic architecture and vibrant street life of Aoyama served as a starting point for the store’s design: architects Mandi and Mehdi Rafaty of the Los Angeles-based practice TagFront collected inspiration from the historic neighborhood as they considered the balance of natural textures required for the intimate 69m2 space. “We focused on materials and techniques that combine the warmth of turn-of-the-century design movements, like the Vienna Secession, rendered with contemporary technology and materials,” said Dustin Edward Arnold, the Creative Director of Dita Group. The resulting palate, coined Warm Minimalism, is clean and luminous. Floor-to-ceiling windows on the storefront’s south exposure, cased in Italian stone and anodized aluminum, allow sunlight to glimmer on brass pedestals and invite onlookers to enjoy a moment of tranquility amidst the bustle of Kotto-dori’s pedestrian traffic. 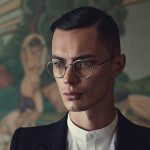 The store’s grooved ceilings – a nod to the linear designs of Japanese-inspired interiors – interlock with a wall of angular shelves displaying the latest eyewear from Dita’s namesake label, as well as collections from Thom Browne Eyewear and fashion eyewear pioneers Christian Roth, acquired by Dita Group in 2016. 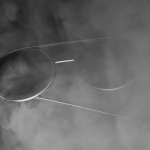 Flagship patrons will enjoy unparalleled service from an attentive team of eyewear professionals. 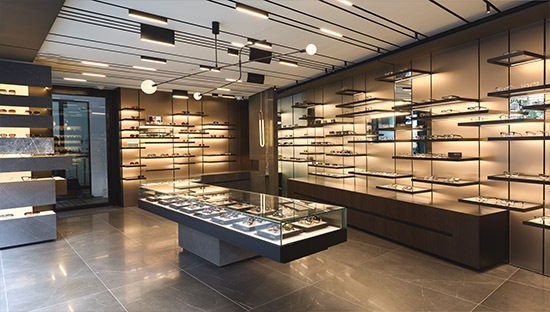 Aoyama features the Dita Lab, staffed by eyewear technicians who can personalize any frame with sunglass or prescription RX lenses. New uniforms designed by Caitlin Boelke reflect a commitment to experimental design: the elongated asymmetric lab coats, reminiscent of the Belgian desconstructionist movement of the 1990s, convey warmth and expertise, inviting patrons to solicit the advice of Dita’s knowledgeable sales associates.